Mini water trap for paint spray guns. 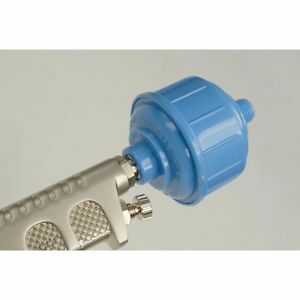 Fit this water trap directly onto the end of the spray gun and it will collect any water and foreign particles in the air supply. fitted with 1/4BSP thread.